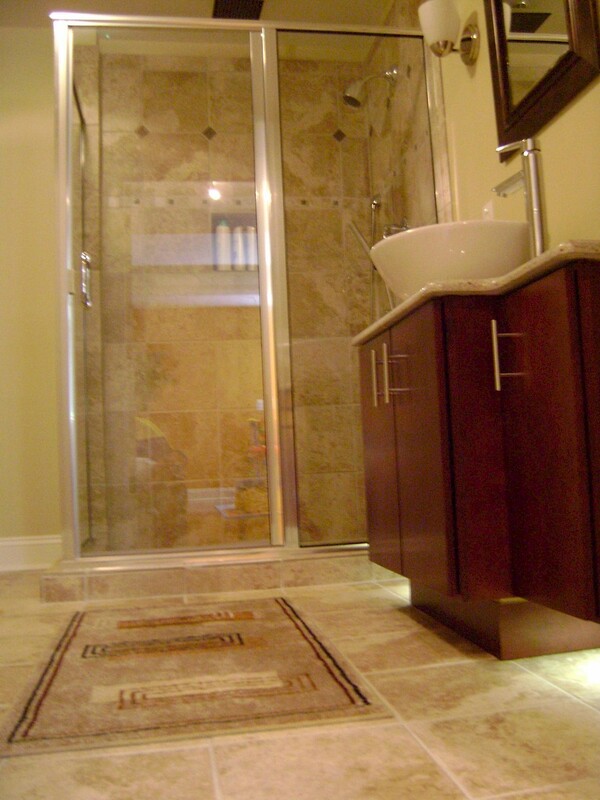 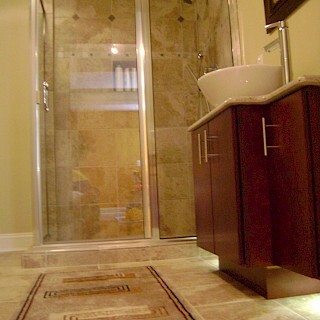 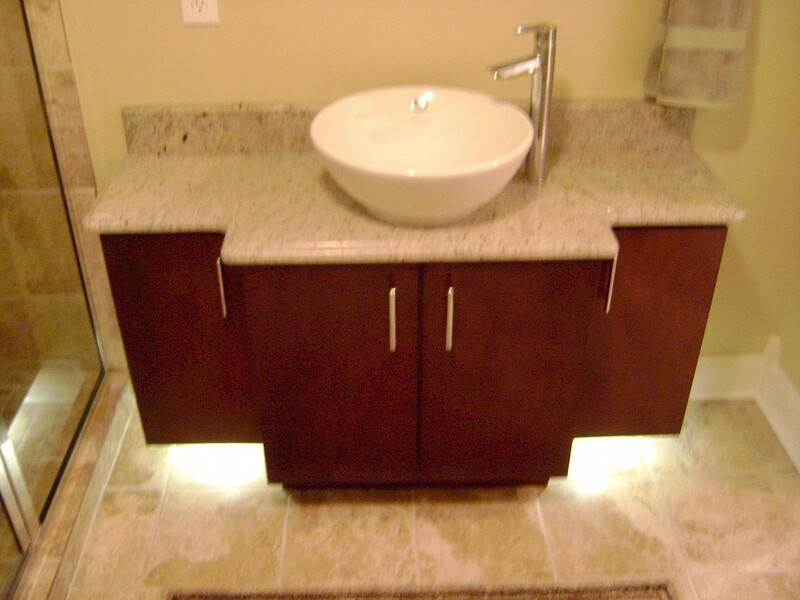 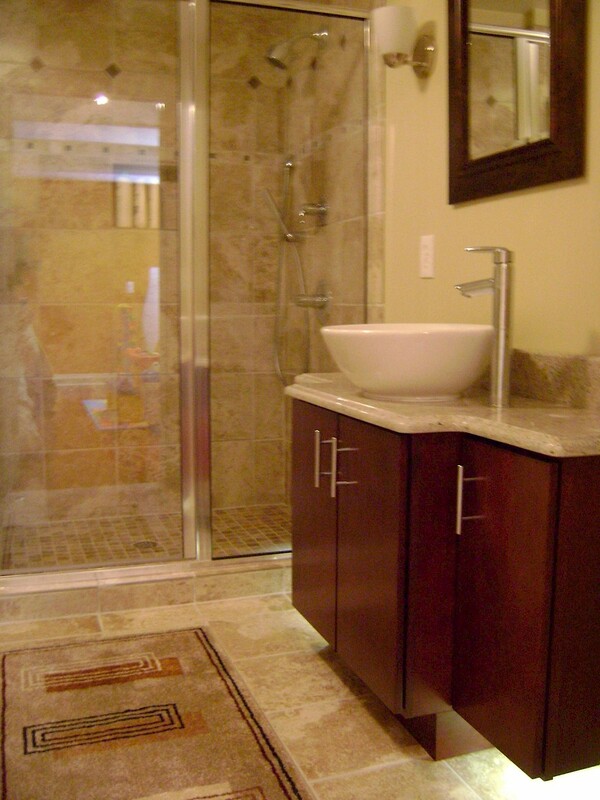 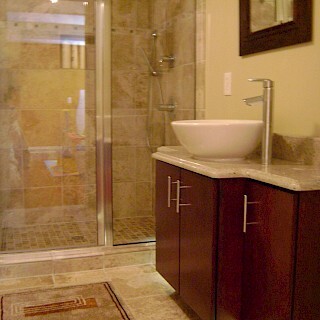 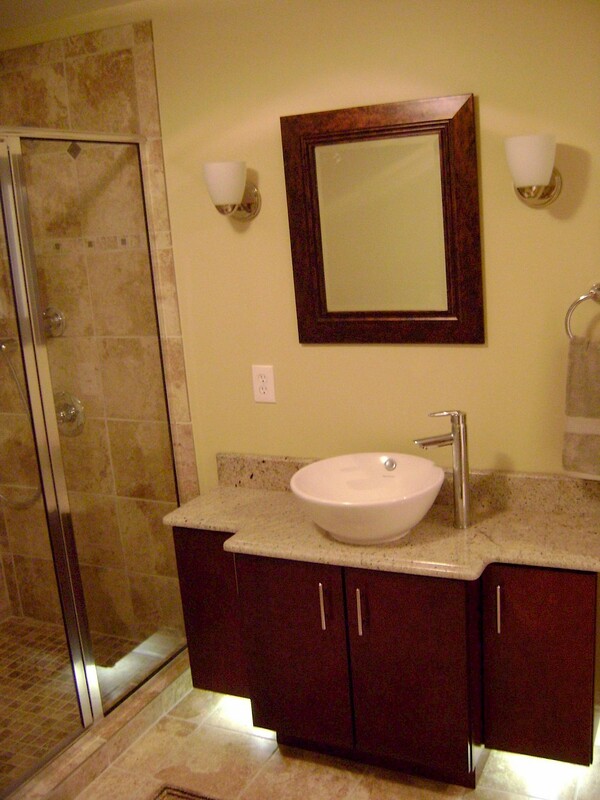 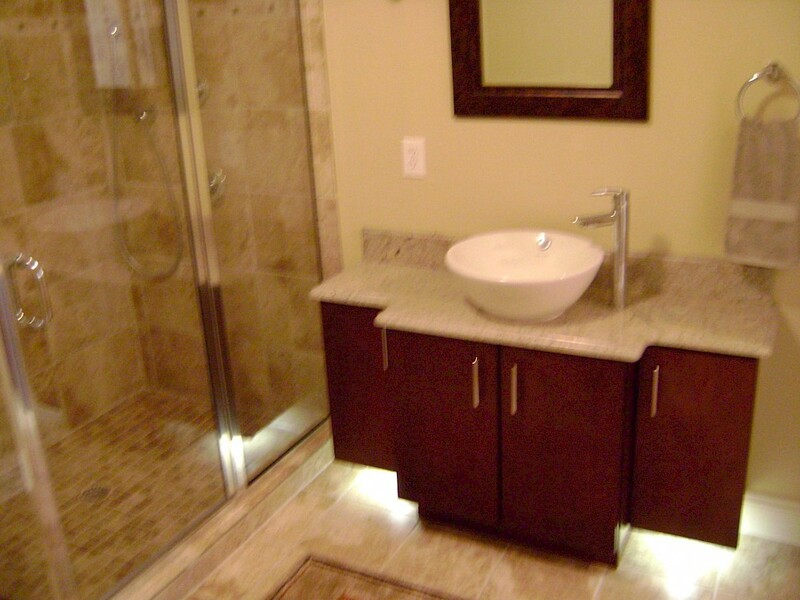 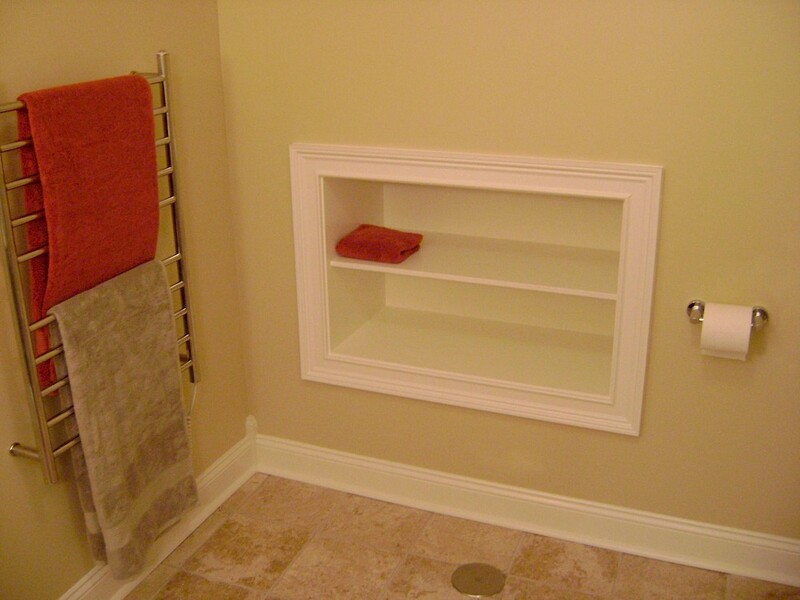 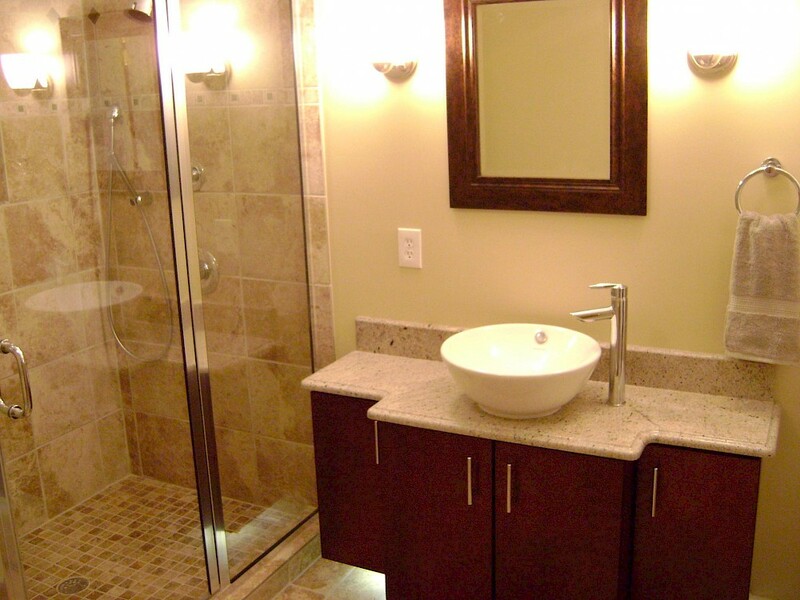 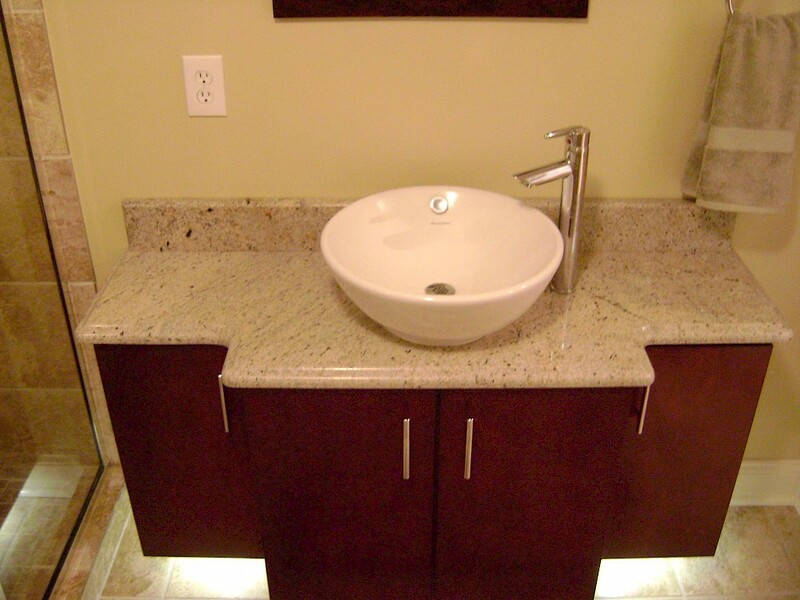 This was a start-to-finish basement bathroom for Exemplar Carpentry. 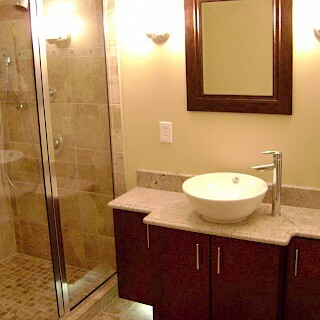 We started by demolishing the concrete floor to add drains for the shower, toilet, and vanity. 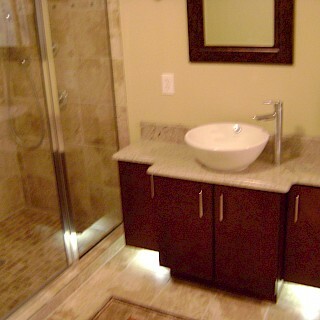 Expert sub-contractors were brought in to assist with the granite countertops and custom glass. 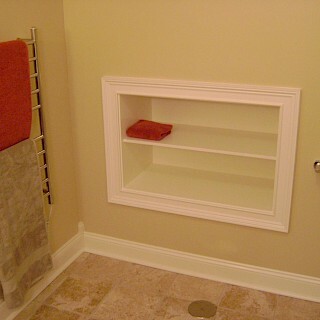 We then installed the framing and drywall. 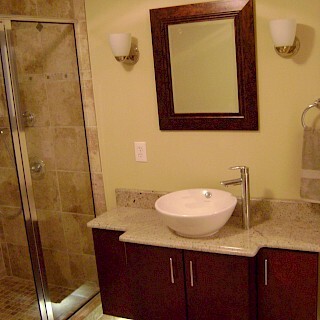 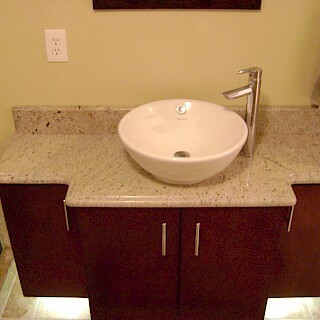 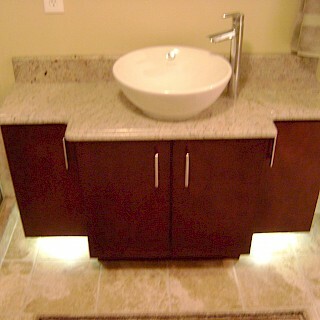 The tile work and trim were added, prior to the under cabinet lighting and floating vanity being placed.